Universal Studios Hollywood™ is the only authentic, working movie studio and theme park in the world. It's as much a can’t-miss for visitors as it is a popular weekend attraction for L.A. locals. 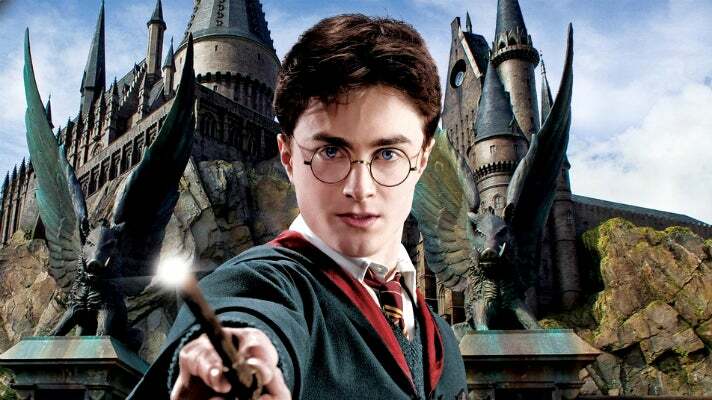 From the world famous Studio Tour to thrilling rides and family friendly attractions, the magic of moviemaking is made real for everyone who comes to experience it. 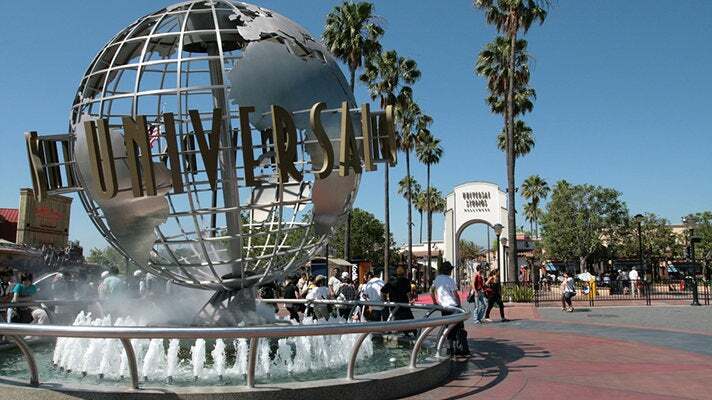 We round up our top ten Universal studios attractions for your next visit. 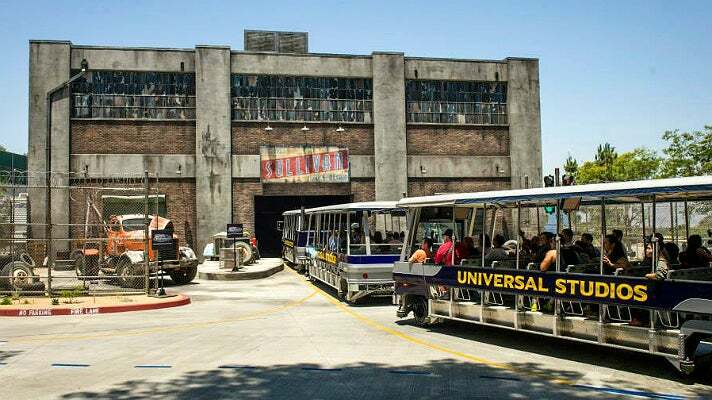 Tour the backlot in a special trolley that lets you disembark and explore areas not open to the general public. VIP guide who immerses you in Universal Studios history, gives you no-wait, front-of-the-line access to all rides, and finds the best seats at any show. Gourmet lunch in the private VIP dining room, valet parking, and VIP entry and exit from the park. HOGWARTS IS NOW IN HOLLYWOOD! The Wizarding World of Harry Potter™ is one of the West Coast’s greatest entertainment experiences and everyone loves the signature attraction. Harry Potter and the Forbidden Journey in hyper-realistic 3D-HD is one of the best rides at Universal Studios. Fast & Furious - Supercharged, based on the Fast & Furious action movie series, is a dynamic hydraulic-motion based ride that catapults guests into the high-stakes underground world of fast cars. The Universal studios Fast and Furious ride is housed in a new 50,000 square-foot building, Supercharged tells an original Fast & Furious story with hyper-realistic special effects that immerse guests in the the adrenaline-fueled Fast & Furious universe. State-of-the-art 3D-HD imagery is projected onto the world’s longest and most expansive 360-degree screen, spanning nearly 400 feet in length to encircle Studio Tour passengers. 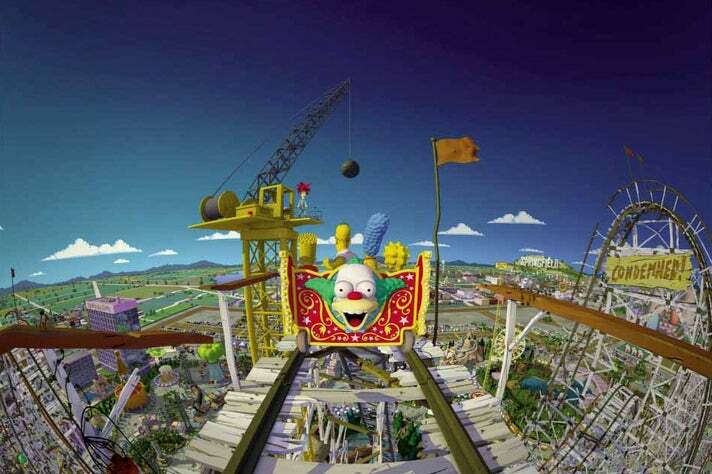 A more family-friendly ride, The Simpsons Ride™ takes you on a simulator journey through Krustyland with fun animation in high-definition. Springfield captures the spirit of the hometown of America’s favorite family, The Simpsons. The vibrant and expansive space at Universal Studios Simpsons Land surrounding The Simpsons Ride comes alive with favorite locations from the award-winning animated series. From famous eateries like Krusty Burger, Luigi’s Pizza and Phineas Q. Butterfat’s 5600 Flavors Ice Cream Parlor to iconic watering holes like Moe’s Tavern and Duff’s Brewery, guests will feel as if they’ve stepped through their TV and into the colorful city of Springfield. 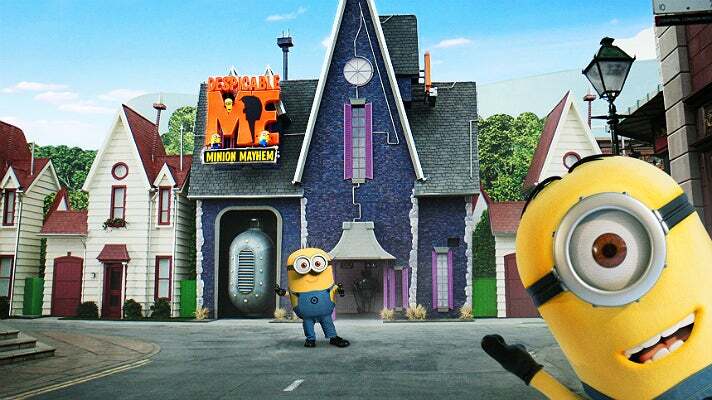 Inspired by the blockbuster Despicable Me animated movies, Despicable Me Minion Mayhem is one of the best rides at universal for kids - a 3D Ultra-HD movie motion-simulator ride - and Super Silly Fun Land, an outdoor family play zone, are now open. 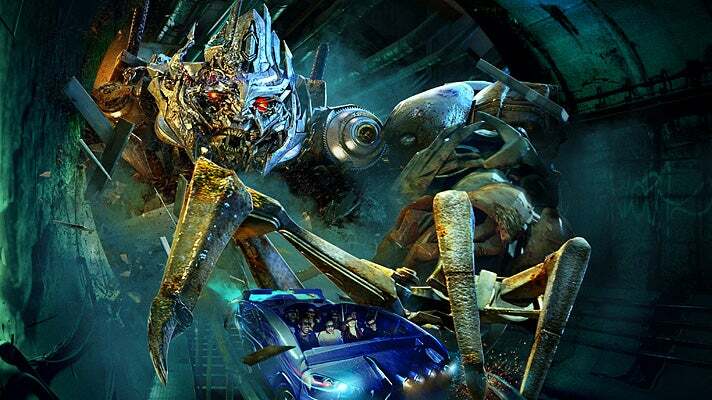 TRANSFORMERS™: The Ride - 3D is an immersive, next generation thrill ride that blurs the line between fiction and reality. Fusing HD 3D media and flight simulation technology, this epic ride creates an experience unlike anything this planet has ever seen. Based on the popular movie franchise, this mind-blowing Transformers adventure puts you in the middle of the ultimate war zone. The world-famous Studio Tour is perhaps the most legendary attraction at Universal Studios. Narrated by Jimmy Fallon, the Studio Tour offers guests the chance to explore the working backlot of a real Hollywood movie studio. The tram ride takes visitors past sets from films like War of the Worlds, Psycho, Jaws and others, with a fiery special effect or two thrown in for good measure. 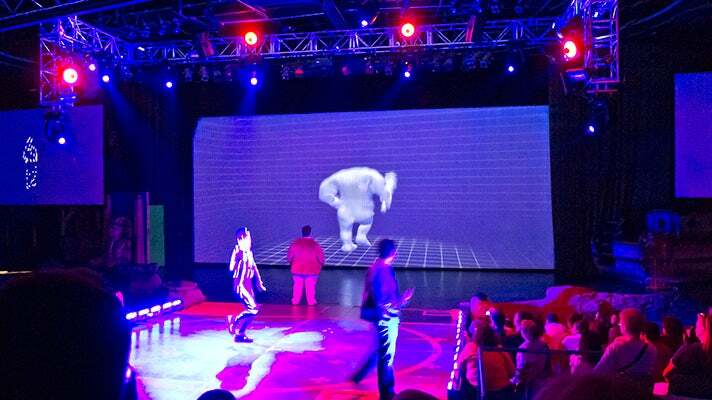 The tour also includes filmmaker Peter Jackson’s heart-pounding King Kong 360 3D, the world’s largest 3D experience. From the movie studio that invented the horror film genre, L.A.'s premier Halloween event turns up the terror like never before. 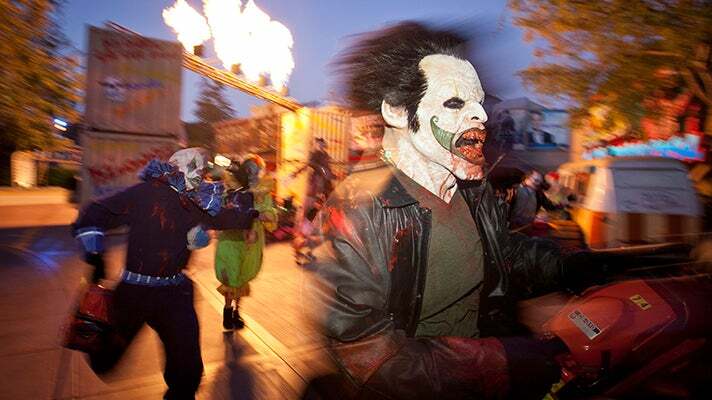 Based on the most frightening films and television series, Halloween Horror Nights feature all-new mazes, scare zones and the Terror Tram on select nights starting in September. If you’ve ever wanted to see movie stunts live and in person, this is your chance. 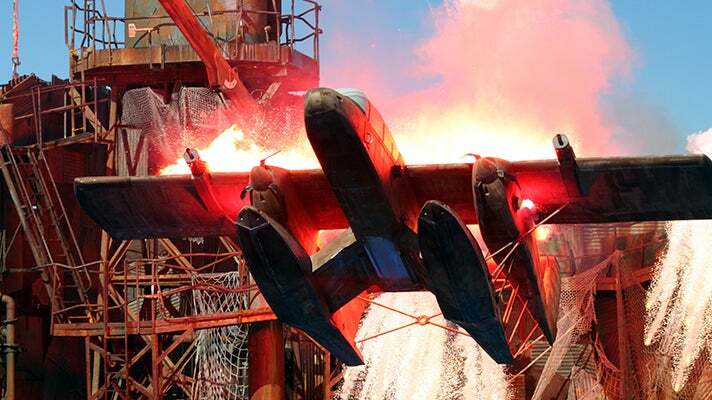 The number one-rated WaterWorld® stunt show features wild jet ski tricks, pyrotechnics, air stunts and more. Don’t sit in the front “Soak Zone” unless you’re prepared to get waterlogged. . If you need a break from the rides, the Universal Studios Hollywood WaterWorld performance is one of the best shows inside Universal. How do they make monsters come to life? What is CGI? And how do those 3D images pop out of the screen like that? 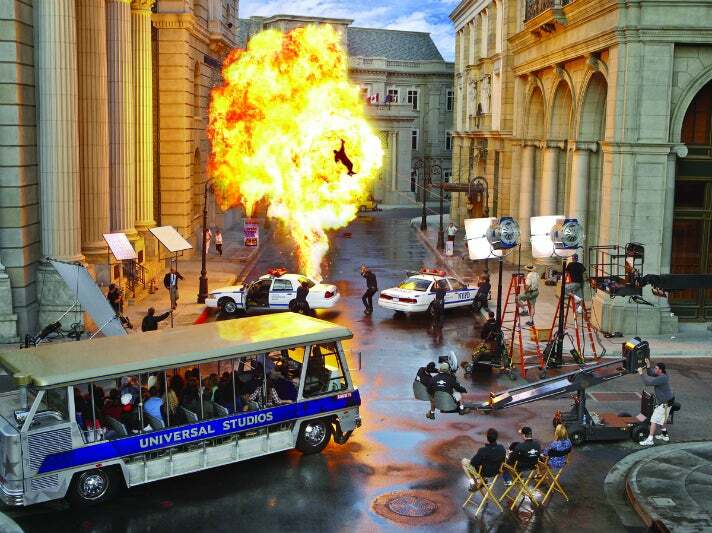 Visitors to the Universal Studios Theme Park Special Effects Stage find out all the answers when they get a behind the scenes look at these amazing filmmaking secrets and more. 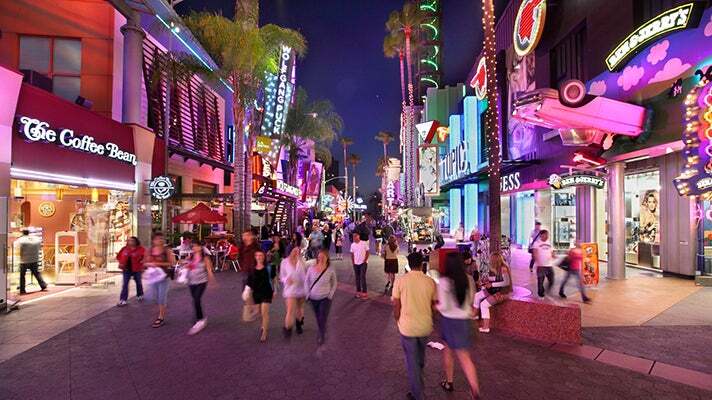 With over 30 stores, 30 dining options, 6 nightclubs, live outdoor entertainment and a 19-screen movie theater - including a seven-story IMAX - Universal CityWalk is a one-stop destination for entertainment that's located just steps from Universal Studios Hollywood. Be sure to check out the state-of-the art 5 Towers concert venue which showcases live, free entertainment all year long. TRANSFORMERS and all related characters are trademarks of Hasbro and are used with permission. © 2013 Hasbro. © 2013 DreamWorks, LLC and Paramount Pictures Corporation. All Rights Reserved. THE SIMPSONS TM & ©2013 Twentieth Century Fox Film Corporation. All Rights Reserved War of the Worlds ©2012 by Paramount Pictures and DreamWorks LLC. All Rights Reserved...©2013 Universal Studios. All Rights Reserved.